If you remember at the end of “Tangled” there are cute little girls feeding Pascal different fruits and as he eats them he changes colors to match the fruits. That is the scene that inspired my game. Here is my latest and greatest new busy bag! I am super excited about it. I hope this little chameleon looks familiar. It is my first Disney inspired original clip art. Hey, I’m a beginner so take it easy on me. 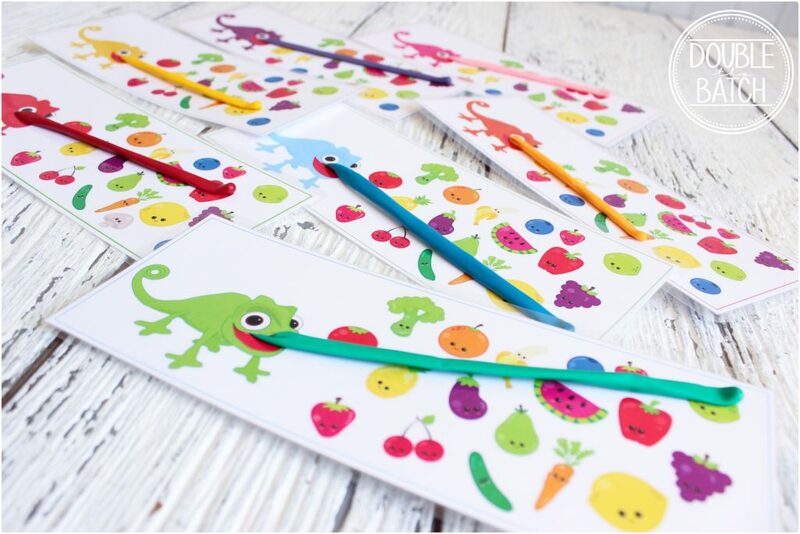 The adorable fruit and veggie clipart can be found here. 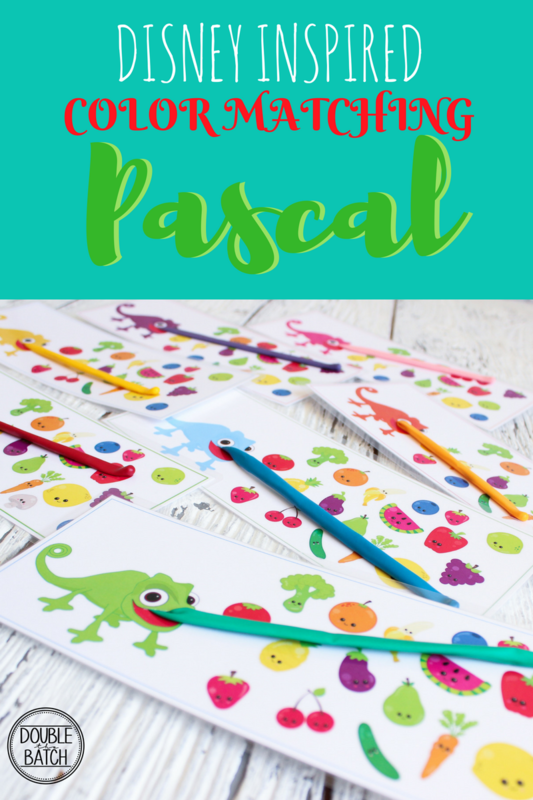 There are 7 (actually 8) different colored Pascals. 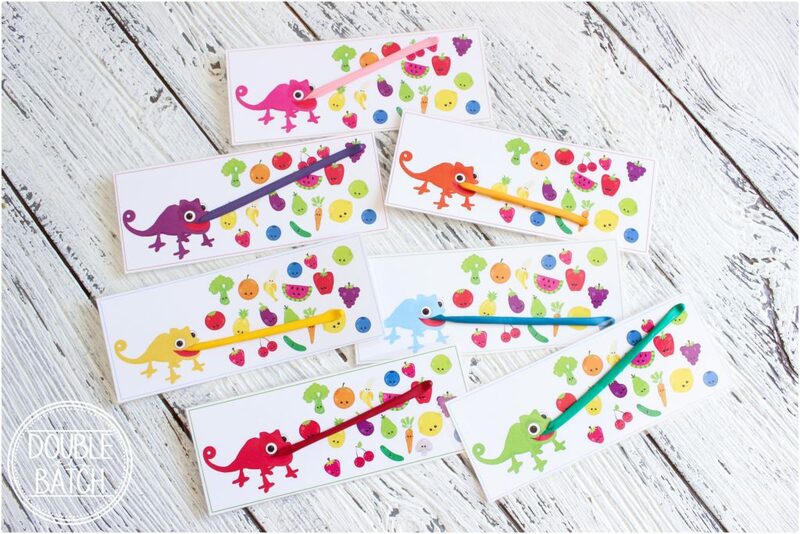 The object of the game is to stick the tongue of the colored Pascal to the same colored fruit. My son thinks this game is hilarious. He also enjoys stretching the tongue as far as it can go and sticking it to the walls, furniture and himself. You could make a game of sticking the tongue to objects in the house that match the color of Pascal, as well. Haha, that could be a true “busy” bag walking all over the house sticking tongues to things! The home is a great place for learning. First, Print them out, laminate, and cut them out. Next, cut a tiny slit in the mouth of each chameleon, just above the tongue. Then, insert into the slit a thin Traditional Assorted Twisting Animal Balloons. I chose to match the tongue to the color of the chameleon. But all Red or pink on them works great too. Then, cut and tape into place on the back side. 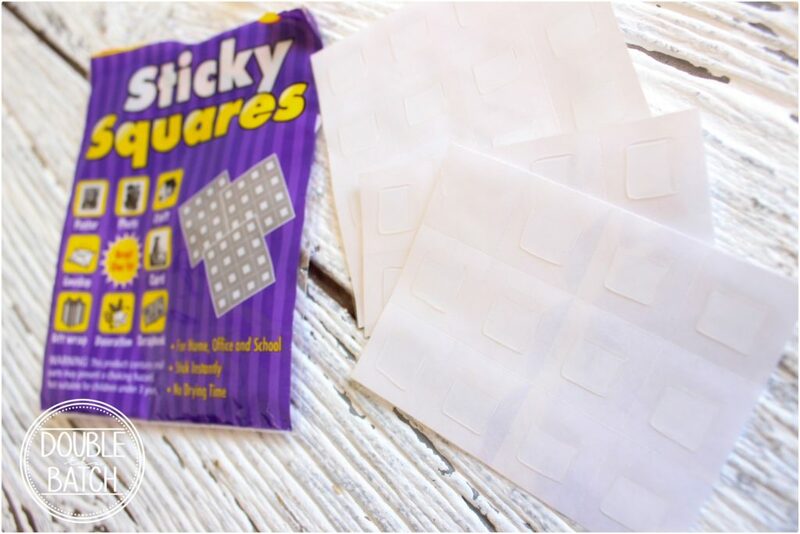 Then on the bottom of the tip where tongue touches the paper add a glue dot or adhesive square. I am bias but I think these are pretty cute! I hope you like them.I know we have a lot of fun with them in our house.